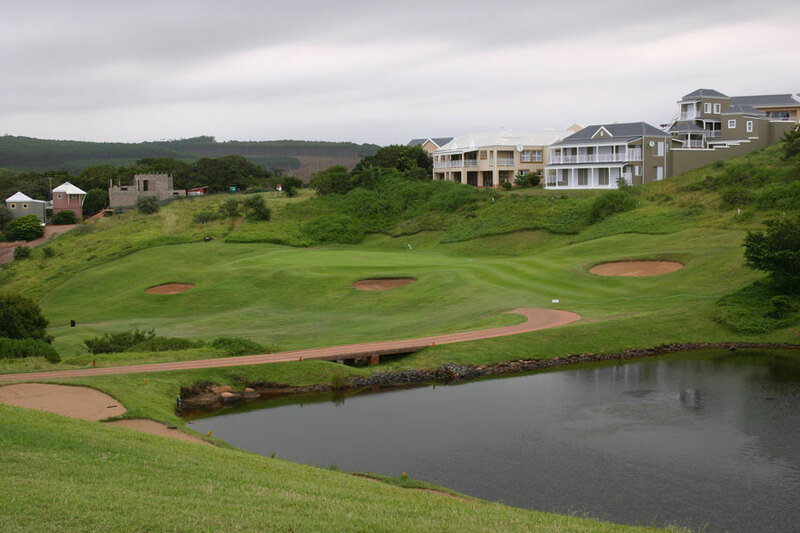 Designed by Peter Matkovich and set partly alongside the spectacular Dolphin Coast of KwaZulu-Natal, the Prince's Grant Golf Estate opened in 1994 and is a rare seaside treat for this part of South Africa. The course is littered with problem spots, but it was built on a genuinely exciting parcel of duneland and features some real quality across the layout. 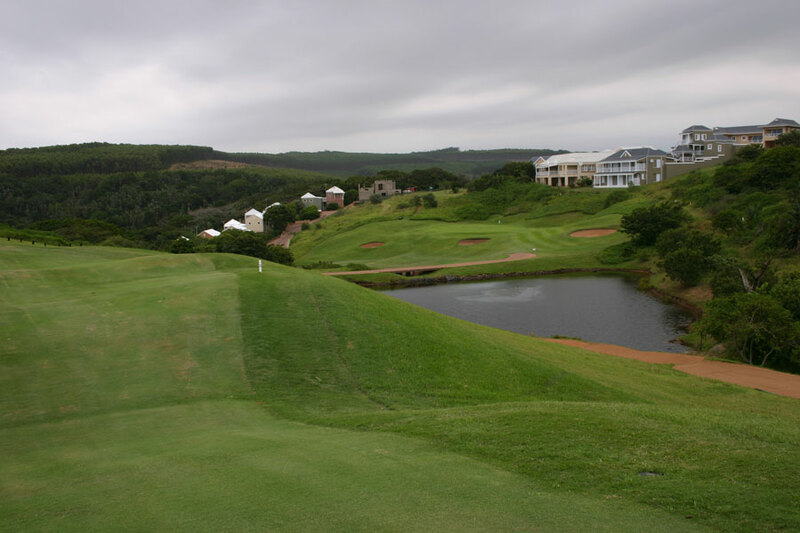 Some of the linksy greens are very effective while better holes include the long par three 8th, a fine test with its green cut into a shelf and falling severely to the left, and the 10th with its bumpy links-like fairway and excellent fallaway green. The finishing run is the most memorable part of the course. The 14th heads toward the highest point and is totally exposed to the elements, sensibly golfers proceed along an undulating fairway uninterrupted by sand to a natural green site. 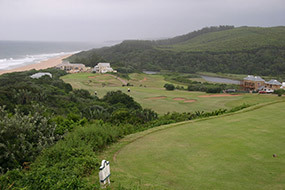 The 15th then plunges down along the coast, the hole takes a great picture but offers little excitement beyond the views. 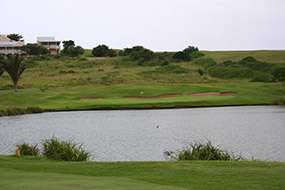 The 17th, on the other hand, is a long par three with a tiny, tilted green that works well. On the negative side, Matkovich’s use of ponds on such a naturally bumpy landscape is not ideal. 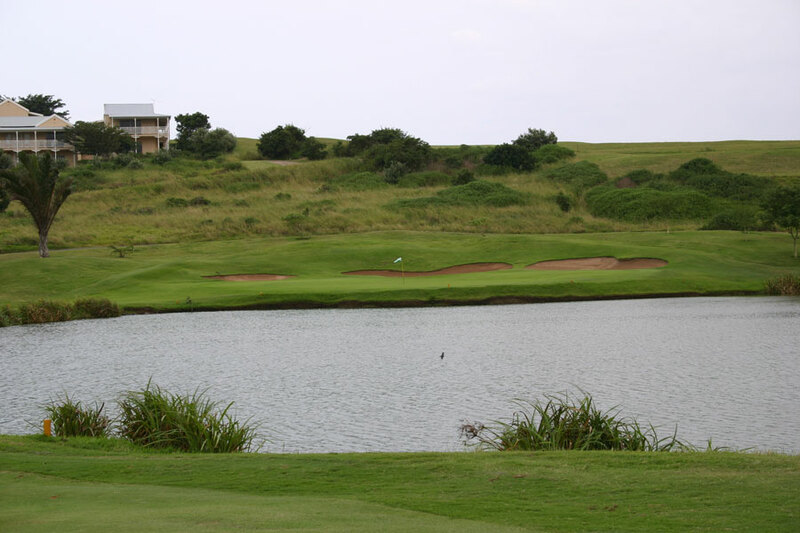 The all-or-nothing approach into the beautiful 6th green, for instance, requires a carry across a big pond that is completely out of context for such a site. Another issue is with the pond hidden off the terrific 2nd fairway, which is totally pointless and spoils a wonderful second shot over a jumbled valley. The development itself is an issue as well. 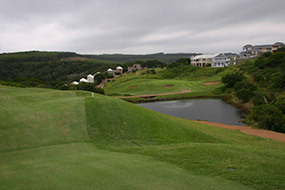 The housing doesn’t intrude too far into golfing corridors as most is built atop ridges with the holes in the valleys below, but the homes are constantly visible as you play and do distract from some of the scenery. 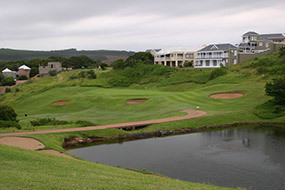 Despite these concerns, Prince’s Grant has some outstanding golf terrain and its best holes are good enough for the course to sit comfortably within the best dozen or so in South Africa.